:) love gnomes. They're harmless and can actually be helpful. Thanks for the detailed post. I must admit that video was funny despite my irrational fear of gnomes. I'm particularly fond of the Human Gnome Project, which seeks to identify every single person in the world who is actually a gnome in disguise. Thanks for the fun, informative post! I never knew there were so many gnomes who could be trusted. Yes, gnomes. They're very popular over here. We call them 'kabouters'. I like the atmosphere of Rien Poortvliet's gnomes, worlds and stories. I did see Gnomeo and Juliet (though I wasn't actually interested) and I really enjoyed it. I remember watching Peter the Gnome as a child. We lived in a wooded area and I imagined every little knot in each tree housed something magical. Damyanti, I agree. 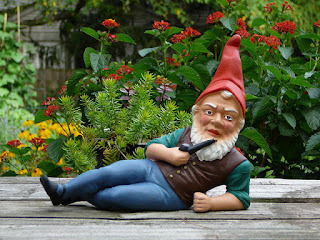 Gnomes are awesome. 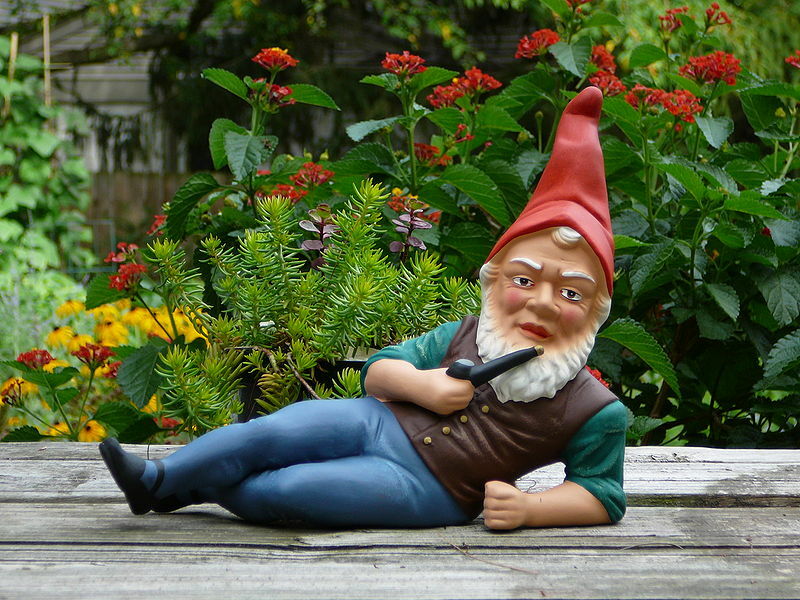 I have a gnome in one of my stories, and well... he's kind of a cross between Siberian and Garden gnome. He can be deadly when he wants to be. You're welcome, and thanks for stopping by! Kari, I'm glad you enjoyed the video! I think the gnomes in that game are hilarious. Nate, I'm glad you enjoyed the post! Thanks for stopping by. K.C., wow! That's really cool. Thanks for sharing the link. His art is really pretty. I'll have to try to find one of his stories over here.